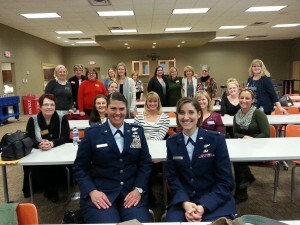 South Dakota Zonta clubs have been busy advocating throughout the state. 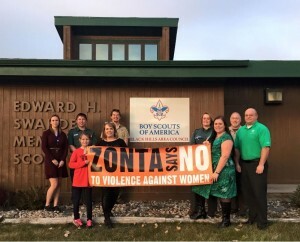 The Zonta Club of the Black Hills participated in the 16 Days of Activism by organizing a local White Ribbon Campaign in connection with Zonta Says No. Local organizations and school athletics teams took the pledge to never condone or remain silent about violence against women. 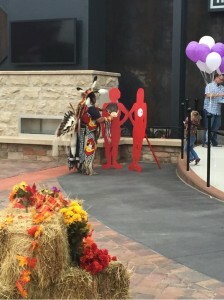 Black Hills also participated in the Silent Witness project, by placing silhouettes representing victims of domestic violence in local business in Rapid City over the busy post-Thanksgiving shopping weekend. In March, Black Hills recognized 24 local women for Zonta Rose Day. The club also held an event where two speakers from Ellsworth Air Force Base spoke about pursuing their dreams to fly B1 aircraft. In April, Black Hills presented a screening of “The Hunting Ground” in recognition of Sexual Assault Awareness Month. The screening was followed by a panel of local speakers who answered questions on the topic. 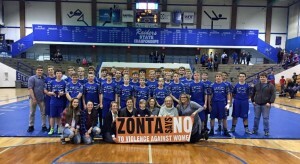 Zonta was showcased at the annual Christmas at the Capitol in Pierre, SD. Thank you so much to the Zonta Club of Pierre/Fort Pierre for all of your hard work spreading awareness about Zonta. Members from other clubs came to Pierre to help celebrate the tree and the Zonta Club of Pierre/Fort Pierre’s 60th anniversary. 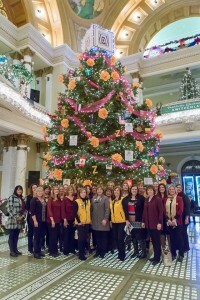 The Zonta Club of Pierre/Fort Pierre orchestrated having this year’s 29-foot showcase tree for Christmas at the Capitol. The Zonta tree was beautiful and not to be missed. 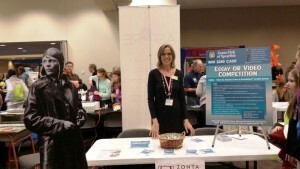 The tree brought great awareness about Zonta and its missions. Pierre/Fort Pierre also participated in the silent witness project. Southern Black Hills hosted its annual Amelia Earhart poster contest in January for local 5th graders. In February, Southern Black Hills hosted its 15th Luna Fest, a film festival showing short films by, for, and about women. Southern Black Hills commemorated Zonta Rose Day by recognizing Doris Ann Mertz for her willingness to serve, help, and better the community and patrons of Custer County Library. Southern Black Hills also donated to Mammo or Bust, whose mission is to educate, promote and help women in the area receive mammograms. 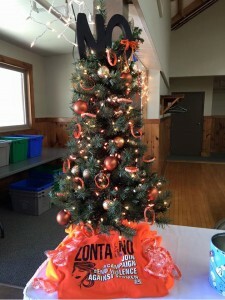 The Zonta Club of Spearfish prominently displayed a Zonta Says No tree in their annual Festival of Trees fundraiser. Spearfish sponsored an Amelia Earhart essay/video contest offered to the 650 girls who attended the Women in Science Conference. The Zonta Club of Sturgis participated in the Silent Witness project at part of Domestic Violence Awareness Month. Sturgis worked with the Crisis Intervention Shelter to hold a candlelight vigil and collected items to donate to the shelter. 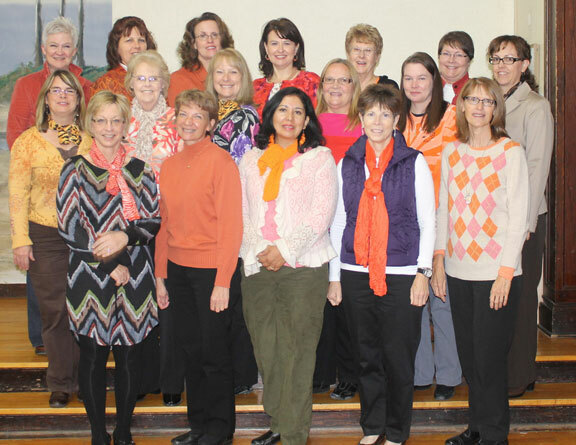 Zonta Club of Pierre/Fort Pierre celebrates UN Day and the UN’s UNiTE to End Violence Against Women campaign by wearing orange at their October meeting to bring attention to the campaign.